I may be dating myself with some of the information in this piece, but I can remember the Christmas when my parents gave me my very own television for my room. It was a 15-inch black and white Zenith with the rabbit ears integrated into the television. Our main TV was a 27-inch console color Zenith, which, by the way, seemed huge at that time, and along with that TV came the installation of cable television. I was most excited because I would no longer be the one who always had to change the channel as cable came with a “remote control”, a huge box with a cord attached to the tv. changed this year as the top five cable operators (excluding Cox as they are privately owned), have published their subscriber numbers and the total cord cutter have reached 500,000. The industry in general laughs at these numbers and cites the economy and more 20 and 30-year-old something adults moving back home as to the majority of the decline. The Associated Press says that there is no doubt these defectors are real, yet there is some question as to what is causing the cable decline. When you add in all the television providers, the cable, phone and satellite subscribers actually rose .3 percent, but cable itself saw the decline. 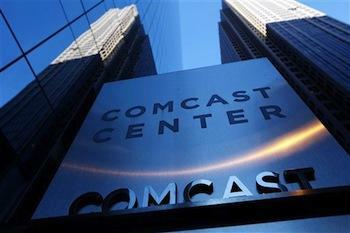 The first thought is that the availability of high speed internet and streaming video has taken a bite out of the cable companies subscribers, but with networks such as FOX blocking their content from streaming services such as Hulu this would not account for the dramatic increase. I think people are just getting tired of the corporate greed and continual rate hikes that seem to come more frequently. With so many other entertainment options consumers are looking to cut costs and the pay television service seems to be the one that hurts the least. If streaming services really start to stand up to the networks and pay television companies we may see an all out upheaval and renaissance of the home entertainment consumption industry. I hope the cable companies are watching the numbers and maybe they will start to become a bit more consumer friendly. 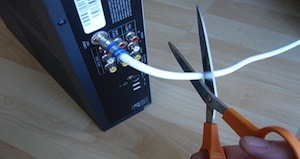 Needless to say it seems cutting the cord seems to be the cool thing to do these days. Have you eliminated or scaled back your pay television service? If so how do you supplement your in home entertainment?